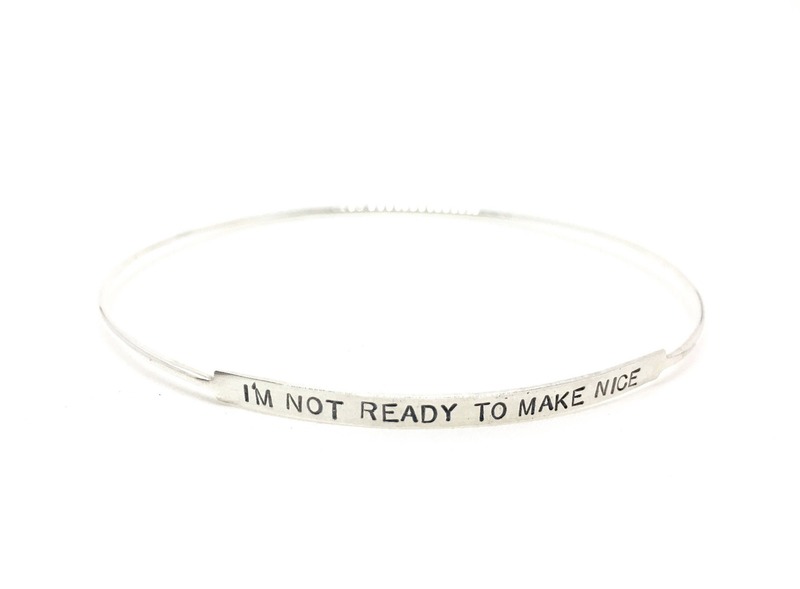 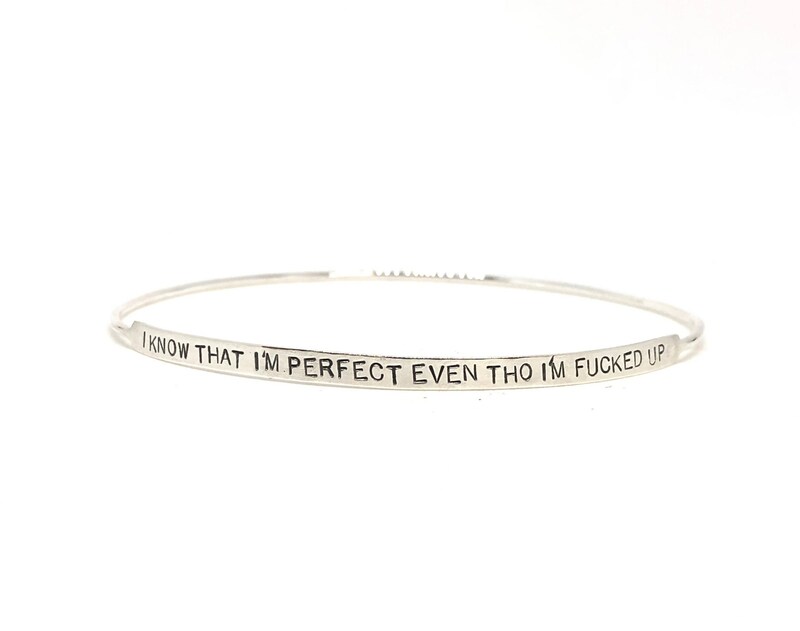 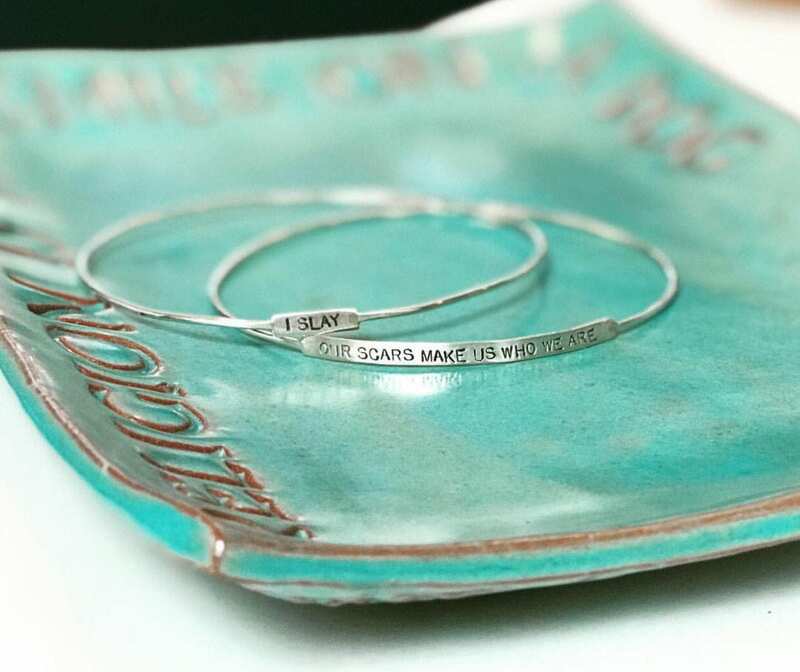 Sterling silver "I know that I'm perfect even tho I'm fucked up" bangle. 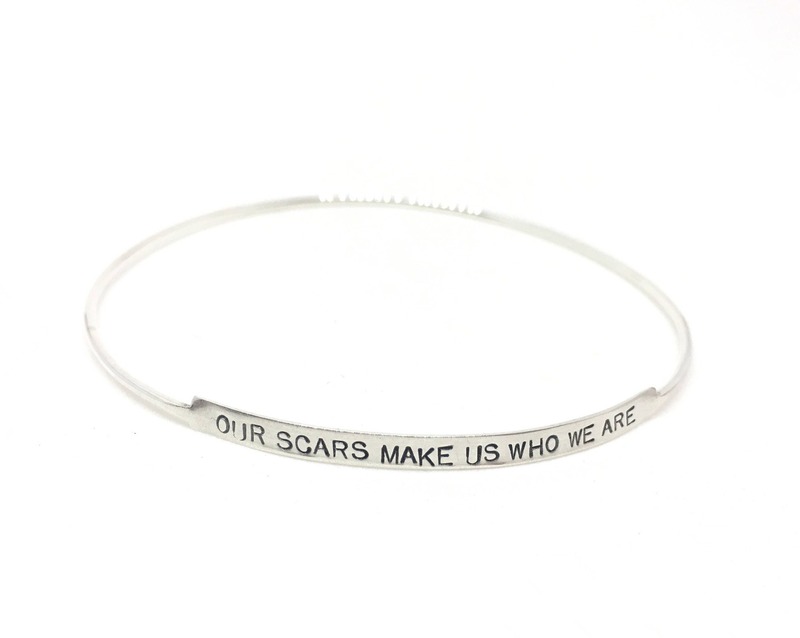 Or choose your own text!! 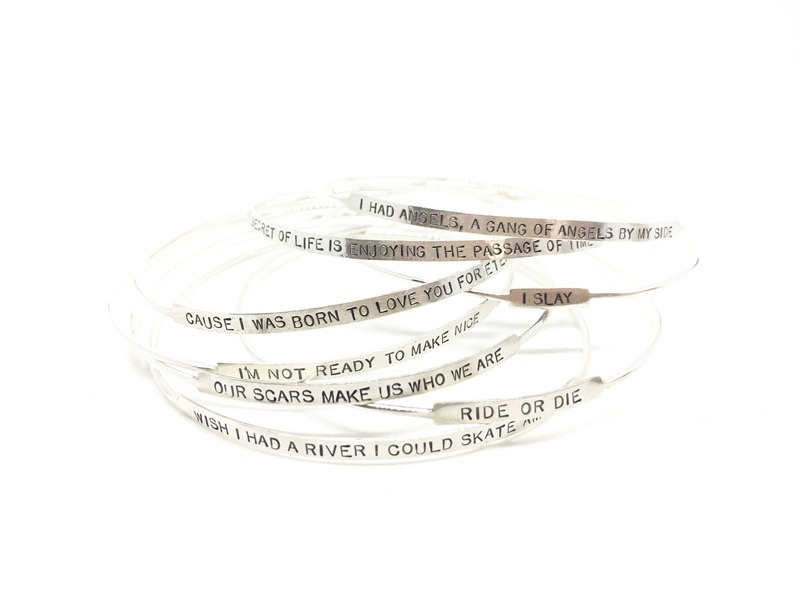 Up to 30 characters per bracelet.